The following restaurants and lounges offer some of the most romantic ambiance in Manhattan and Brooklyn, serving up international fare and craft beverages to share at intimate tables or on cozy loveseats meant for two. One of the greatest perks of Gotham living is the plethora of towering rooftop bars in NYC from which to soak up sweeping views alongside boozy sips. While the sunshine and rooftop pools only appear during warmer months, there’s no shortage of elevated digs for wintertime boozing and more of the best things to do in winter. 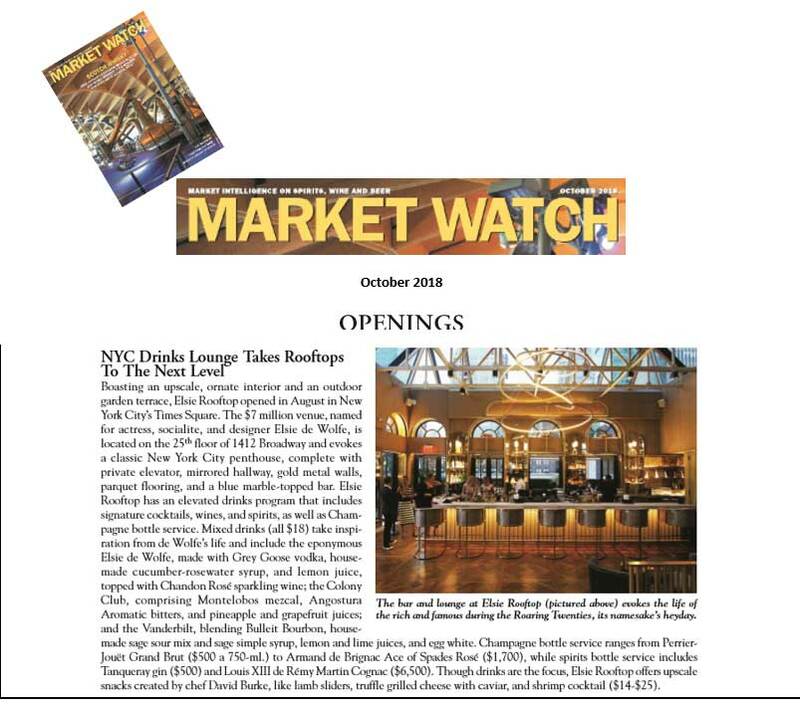 One of the newer rooftop venue with a view of the Times Square ball drop, along with its every day elegant atmosphere. Decorated with gold motifs and plush sofa chairs, this bar stuns with breathtaking views of the city, an array of light dishes and an extensive drink menu. If crowding into the main event sounds daunting, the city offers many options for those seeking more refined and intimate affairs. There are cocktail parties taking place all over town. Real Housewives Star Dolores Catania, Anthony Mongiello and AnnaRose Mongiello-Ciminera of Formaggio Cheese presented Ladies Night out at Elsie Rooftop in New York City on Friday November 2, 2018. 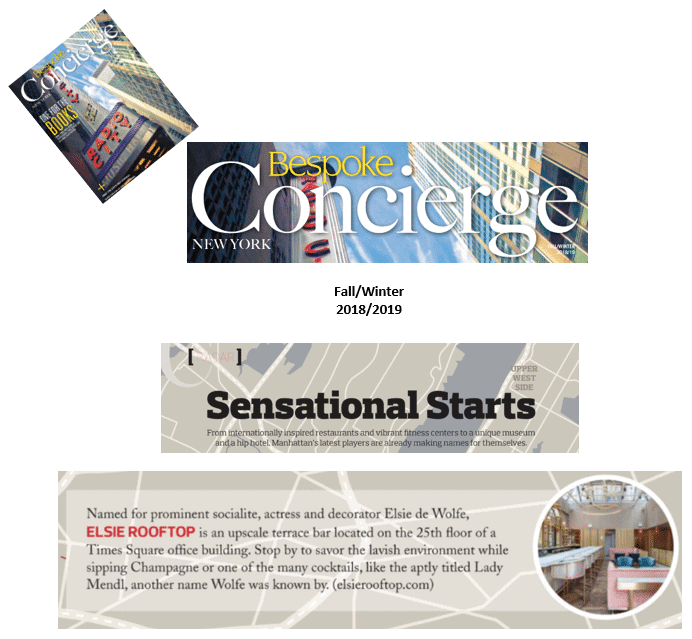 Named for prominent socialite, actress and decorator Elsie de Wolfe, Elsie Rooftop is an upscale terrace bar located on the 25th floor. Stop by to savor the lavish environment while shipping Champagne or one of the many cocktails. Friday – Fun – Real Housewives of New Jersey stars Jennifer Aydin and Dolores Catania hit the Big Apple for a “Ladies’ Night Out” event on Friday at the Elsie Rooftop. 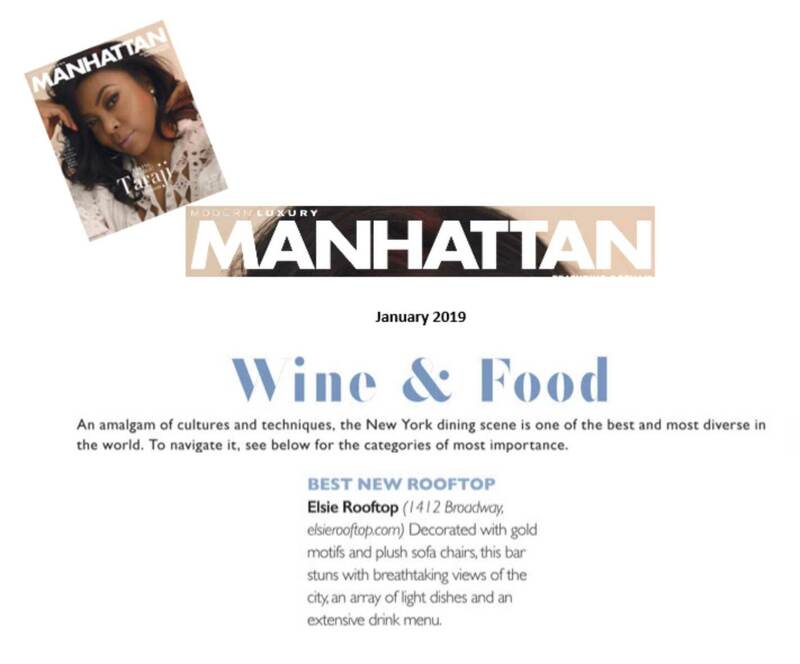 Boasting an upscale, ornate interior and outdoor garden terrace, Elsie Rooftop opened in August in New York City’s Times Square. The $7 million venue, named for actress, socialite, and designer Elsie de Wolfe evokes a classic New York Penthouse, complete with private elevator, mirrored hallways and gold metal walls.